The Best Shark Dive in the World! : Cut the Bull! A tad intimidating and, literally, Blunt! Blunt and intimidating huh - and to think that I was really on my very best behavior and merely trying to be useful by providing some, I thought, valuable and impartial guidance! And the infamous education and awareness thing? Regular readers of this blog know that it's one of my pet hates as it is so often invoked as an excuse for bad things with Sharks by the brazen self promoters, Shark molesters and new age idiots. We here do it every day, and hope that some of our in-depth conservation and research briefings "stick", and that our customers will go home and amplify the message among their friends. 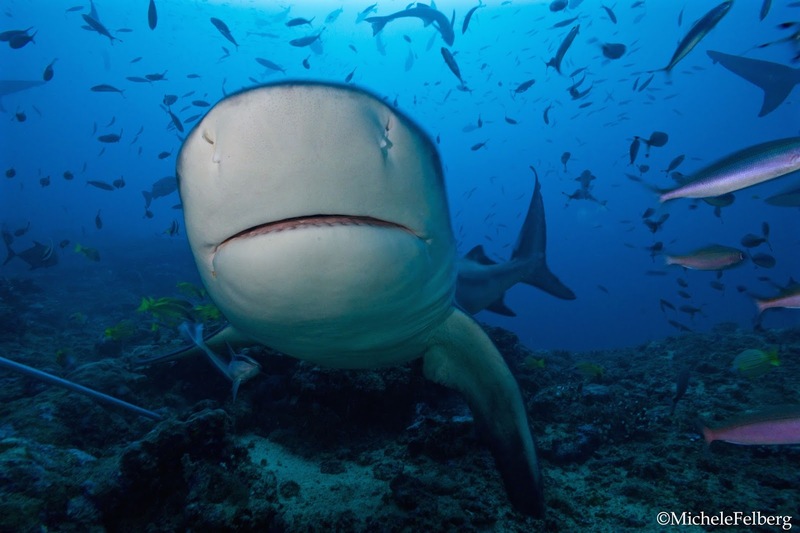 But the very vast majority of the recent Shark conservation victories are not based on plebiscites but instead, have nearly always been the result of the right people talking to the right people at the right time, and of heaps of hard, persistent and anonymous work on the ground. And Shark Stanley I hear you ask? Dunno and likely never will - or is anybody about to finally analyze these things? But my gut tells me that it was certainly nice but by no means mission critical = the victories at the last CITES CoP were the result of stellar but incredibly tedious and hard work by several individuals and NGOs, not of a social media campaign featuring cute Shark and Manta cutouts! I believe that education and awareness are possibly (?) valuable as a long term strategy; but in the short term and considering the urgency of the task at hand, they remain a poor substitute for focused conservation work. And I equally remain of the opinion that intelligent and highly educated young people like Michele ought to channel their passion into more efficient and effective undertakings! Great blog post by a really nice promising marine conservationist. "Friday, which would have normally been a shark feeding day, there would be no boats going out with BAD due to annual boat inspections that needed to be performed. 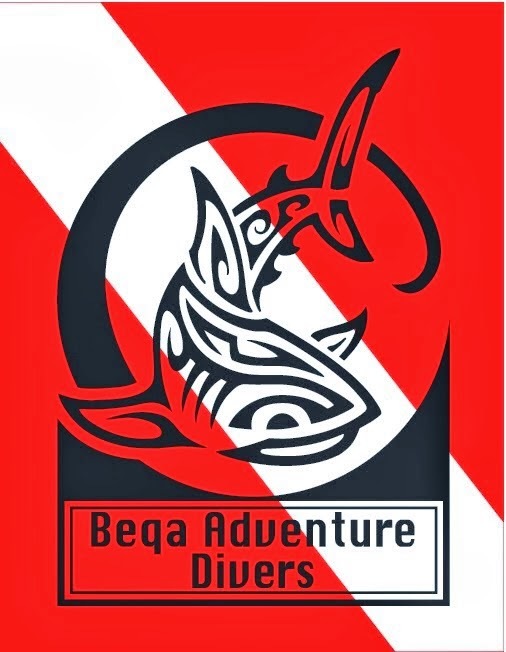 Instead, upon Mike’s suggestion*, I booked a morning of diving with another dive outfit which was a competitor of BAD... (Paraphrase from here: the rival operation sucked.)" Hah - honi soit qui mal y pense! Nah, yer really making me far more Machiavellian than I actually am! Truth be told, many of our customers love that dive as it gives them the opportunity to witness different species, to wit Michele's sighting of a Silvertip, a species that is effectively being excluded by our Bulls. Same-same for our dive where some folks (= essentially the huggers, adrenaline junkies and eager photographers who all want to be one with the Sharks) take great exception to our rather inflexible protocols. "Everybody is required to wear dark, full body wetsuits and black gloves (provided by us) and all shiny or brightly coloured gear is not allowed." - Yes, indeed. This was something Gary Adkison insisted on with his bulls at Walker's Cay, and I learnt very quickly that it is a sound practice. Unlike Dr Erich Dickhead. Take a wild guess at who has been instrumental in formulating our protocols back then when we started in 2004! I'm not the architect of the Shark Stanley campaign, but I will go on the record to say that the global response and outpouring of support of kids and adults being photographed with "cute Shark and Manta cutouts" had a (admittedly hard to measure but anecdotally) meaningful impact on CITES CoP 16 delegates who were able to see constituents from their nations in support of strong shark measures.